The Urban Violence cocktail does something very delicious with the the strawberry/orange/banana flavor of Tropicana Twister. It adds coconut into the mix and enhances the orange flavor. 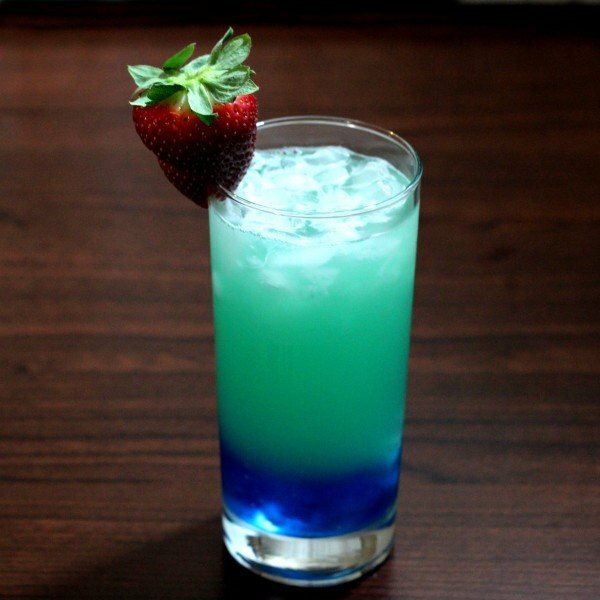 When poured correctly, this drink ends up bright blue at the bottom and greenish blue at the top, in two indistinct layers reminiscent of ocean water. Who can resist a oceanic cocktail that’s all fruity and coconut? If you’re saying “Not me!” this is definitely a drink you need to try. Fill a highball glass with ice. Add the liquors and fill up the rest of the way with the Tropicana. Garnish with a strawberry and/or orange peel and/or slices of banana.